There’s something about the holidays that makes us want to snuggle up on the couch, put on fuzzy socks, grab a nice warm drink and have a Harry Potter marathon! 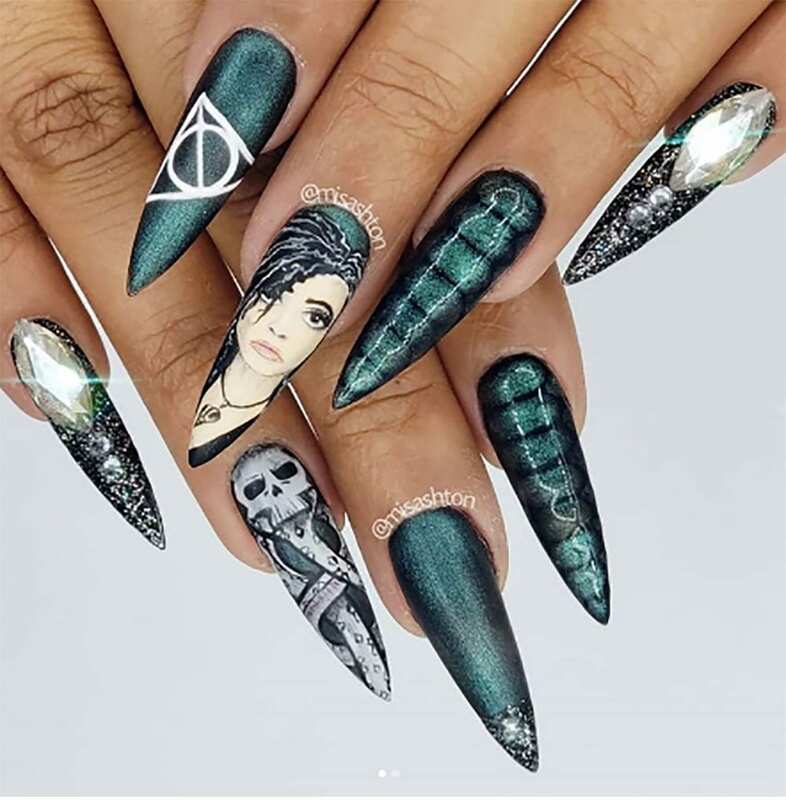 If you’re looking to show off your love for Hogwarts, Harry or Malfoy – you can spice up your nails with decals or unique nail art. If you want a more subtle Harry Potter themed manicure, you can skip the decals and nail art and go straight for the colors of the houses like Slytherin inspired silver and green or Gryffindor maroon and gold colors. For all you Harry Potter Fans like my bestie @kaleyk87 #harrypotternails #gryffindor #goldensnitch #deathlyhallows #platform9¾ #harrypotter #lighteningbolt⚡️ #nailart #nsinails #blueskynails #pampernightwithmygirl #shesaharrypotterfan ????⚡️????????‍♀️???? Clienta feliz con su Manicura semipermanente luciendo sus bellas uñas en Orlando con diseño de harry Potter ???? #disney#harrypotter #harrypotternails @dvassalon__ alcanzando fronteras ???????????? What was your favorite design? Comment below or share your Harry Potter inspired Nail art with us too!